When Michael Schumacher crossed the finish line to win the 2000 Japanese Grand Prix, delivering Ferrari its first Formula 1 Driver's World Championship since 1979, motor racing fans around the globe rejoiced. 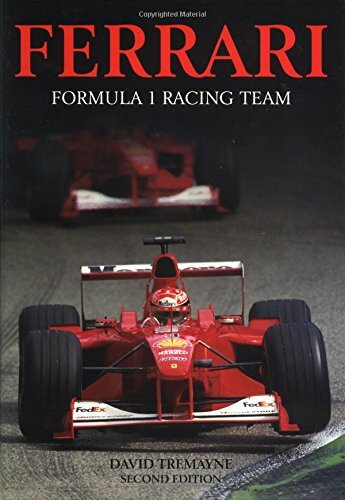 This colorful insider's look at the most famous F1 team in the world includes profiles of Schumacher, teammate Rubens Barrichello and Ferrari technical director Ross Brawn; privileged views of car design and testing and the 2000 championship season; a look at typical raceday preparations and strategies; the team's dealings for financial and promotional support; and an examination of how the team honed its competitive edge during battles for the title in 1997, 1998 and 1999. David Tremayne\u2019s passion for the history of the water speed record was fired by Donald Campbell\u2019s last effort, and since then he has interviewed many of the leading proponents. A respected author and world-recognized expert on record breaking, he is the biographer of Donald Campbell and Richard Noble. He lives in Darlington, England.